In the summer, I’m looking for any excuse to get my family outside. 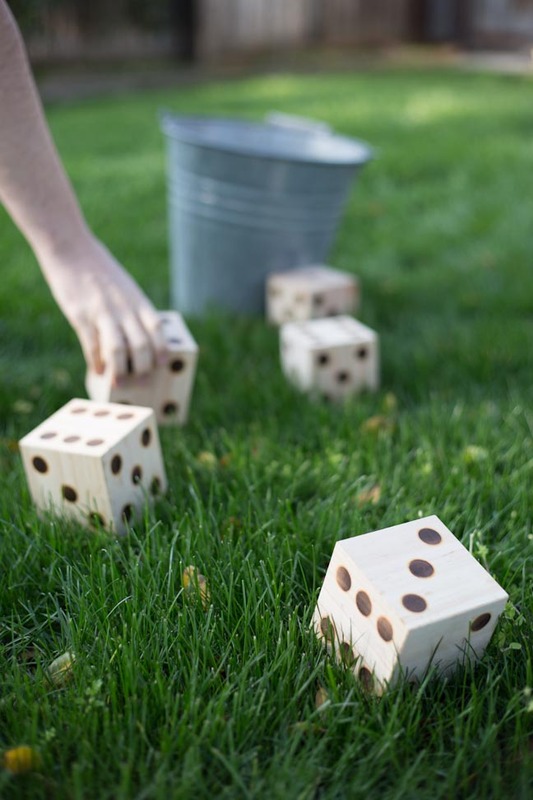 Lawn games are my favorite—we can set up in a small patch of grass and play for hours. I am always on the hunt for a new lawn game to add to my collection. 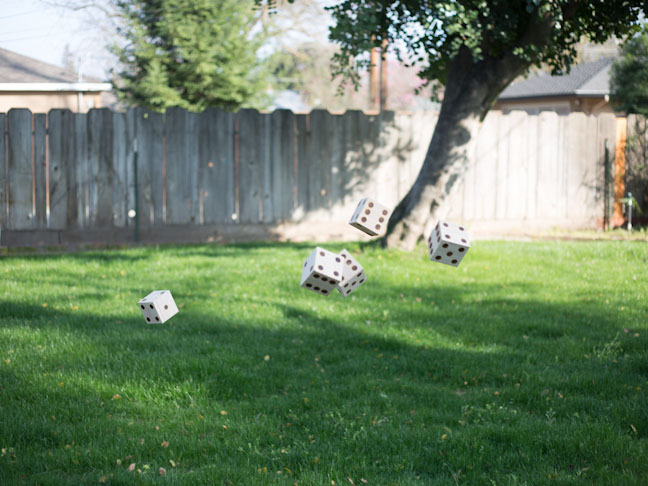 This year I supersized one of our favorite dice games and took it outside. 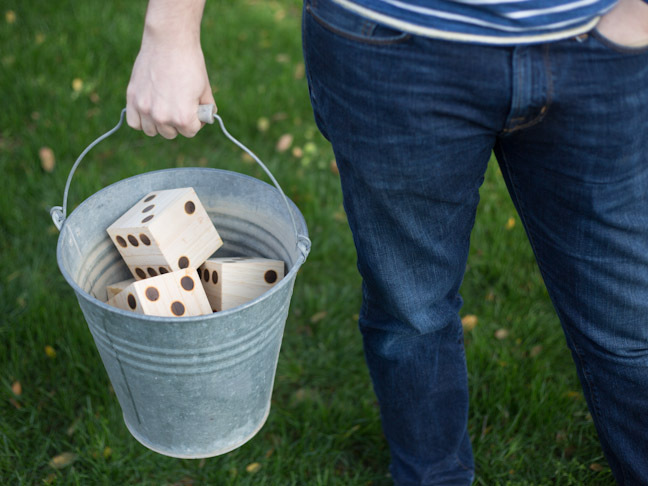 I made a giant set of dice for just a few dollars, and instead of sitting around the table, we’re taking our game of Yahtzee out into the backyard. 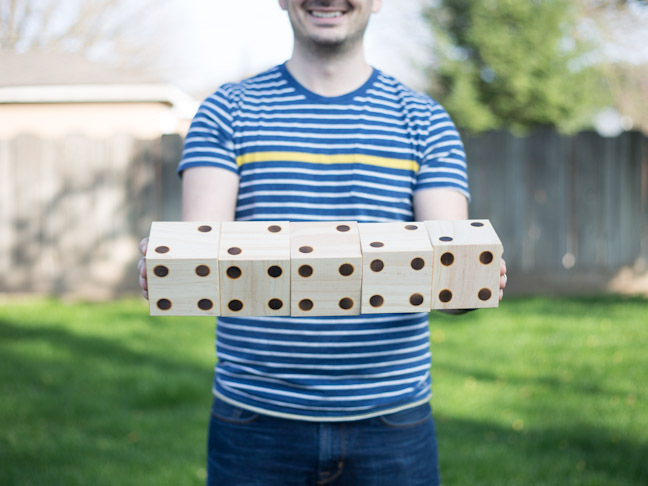 This giant DIY Yard Yahtzee set is quickly becoming our favorite backyard game yet! 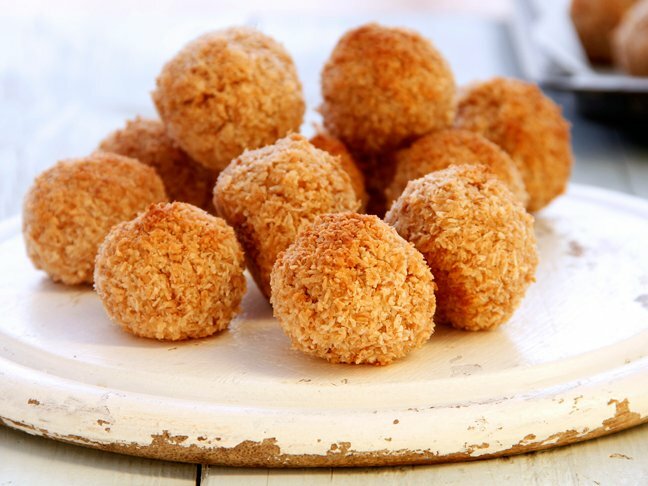 Check out the step-by-step tutorial to make your own below. 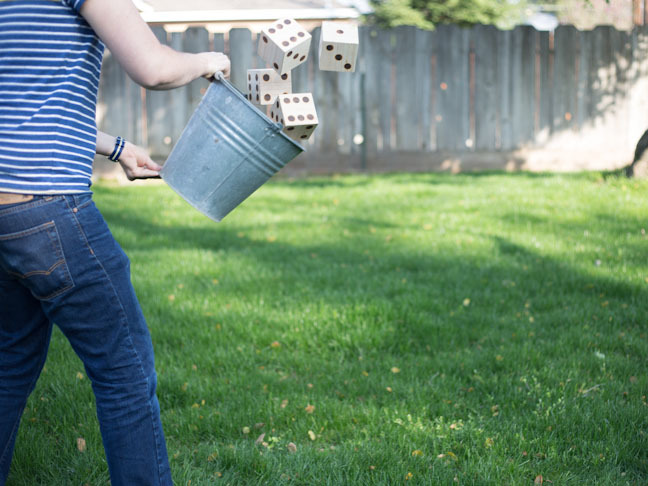 If you’re looking for more amazing games for the backyard or lawn, scroll through the slideshow for fun ideas, from Twister in the grass to giant Jenga. Step 1: Start by gathering your supplies. 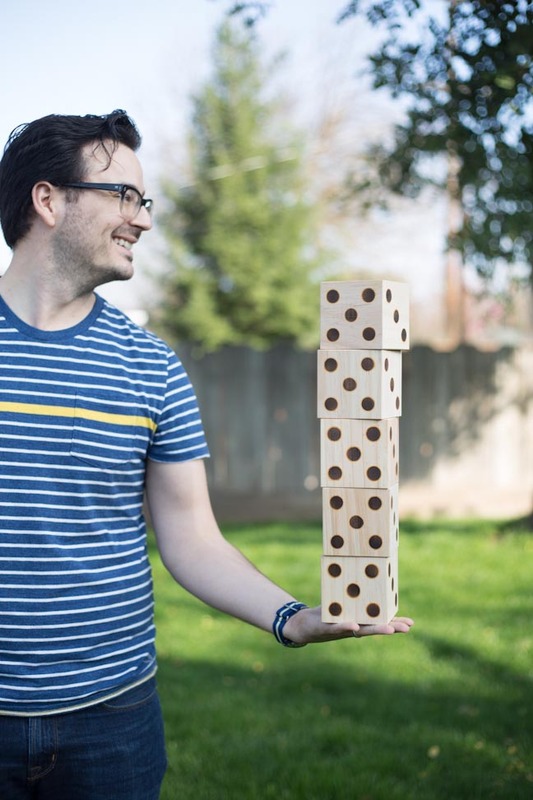 Michael’s sells wooden blocks that will make the perfect super-sized set of dice. If you can’t find them, you can always trim down a 4×4 piece of wood into five square blocks. Step 2: Next, we need to make a template so that the dots of our dice are all in the same spot. 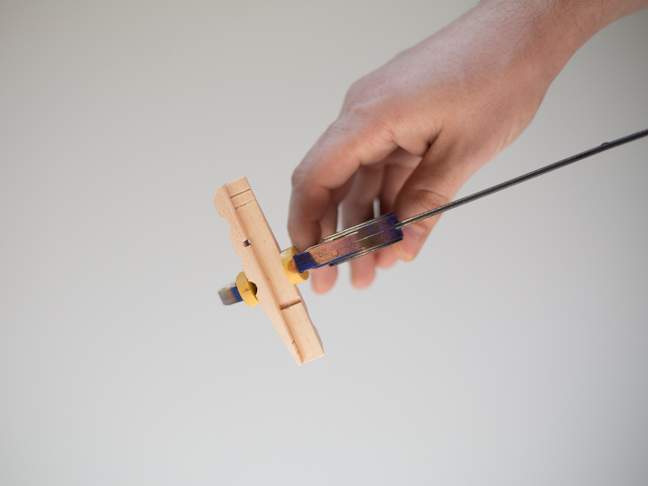 Start by taking apart your clothespins and gluing the edges together to form a right angle. 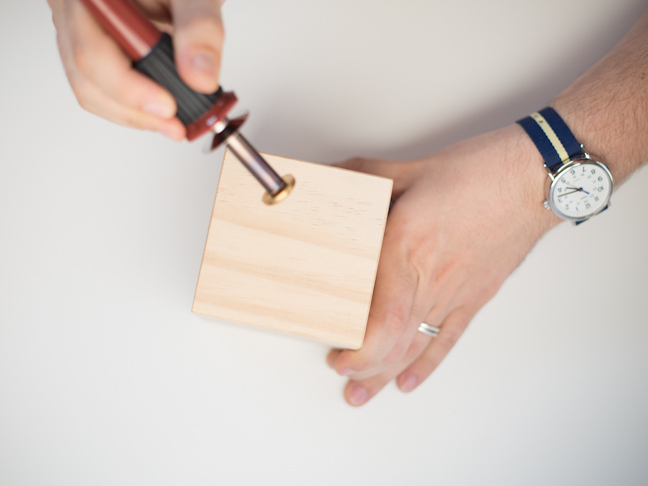 This angle will hook to the side of your wood block to help determine the distance you should imprint the dots from each corner. Step 3: Once the glue has dried on your clothespins templates, you are ready to start making dots on your dice. 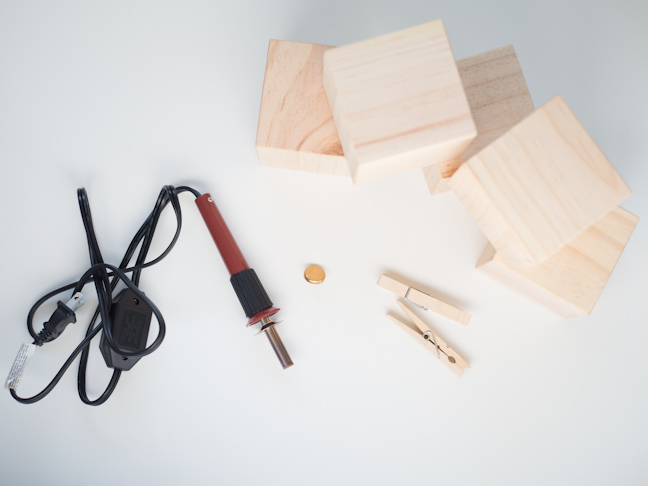 Plug in your woodburning tool and let it get sufficiently hot. Place your two templates on the corner of a woodblock, and burn a circle at the corner where the two templates meet. Be very careful not to burn yourself. Woodburning tools get extremely hot. Step 4: We are starting with the side of the dice with six dots, so continue making wood-burned dots in all four corners of this side. Then, using the clothespin template on one edge, make a dot between two of the corner dots. 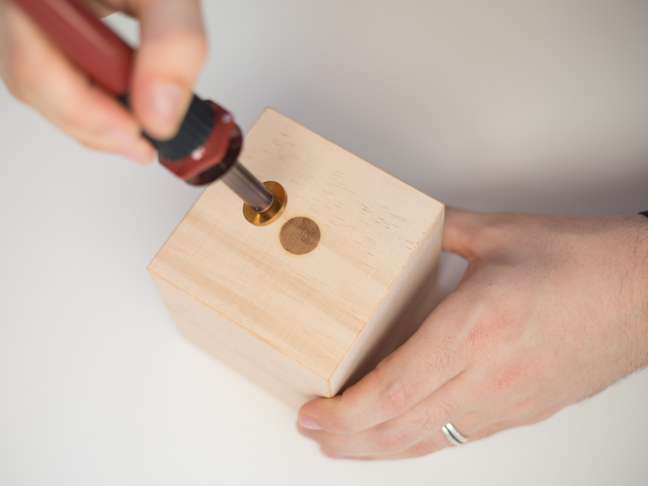 Continue the process on each side of the wooden block for each numbered side. 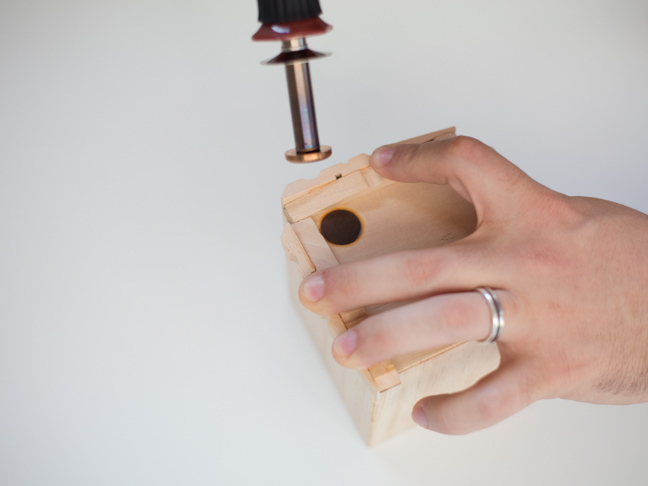 Step 5: For sides that have a dot in the center, just eyeball your woodburning tool in the center. This includes the 1, the 3, and the 5. 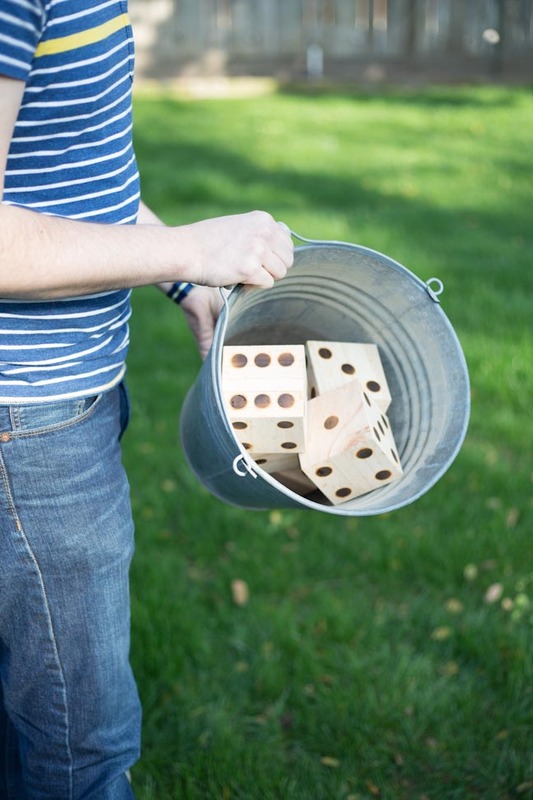 Continue around each wooden block until you have burned all six sides of your five wooden blocks. Step 6: Your set of Yard Yahtzee dice should now be done! And your workspace probably smells like a campfire too. 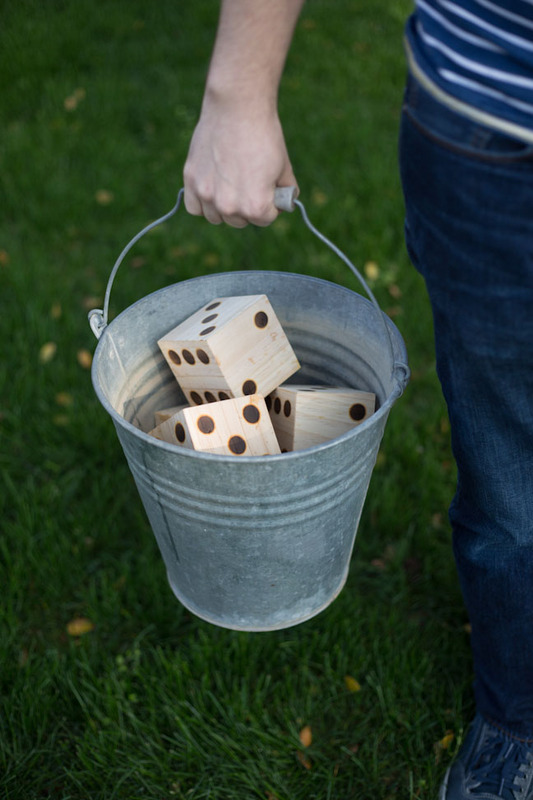 Step 7: Take your dice and place them in your aluminum bucket and you are ready to play. Standard rules of Yahtzee apply, which you can download from Hasbro. Download this handy Yahtzee scorecard to keep track of your score while you play.